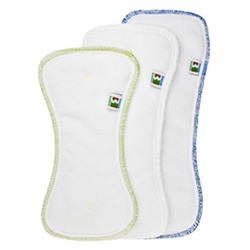 Enjoy simplified cloth diapering with these economical microfiber diaper doublers. Consisting of 2 layers of microfiber and made to fit with any Regular insert option of the same size. Snap in the Doubler option and snap a Regular insert of your choice on top! Best Bottom Cloth Diaper Doublers are almost identical to the Microfiber Overnight inserts. The only major difference is thickness. Less layers of microfiber result in a thinner insert, a less bulky diaper, and more mobile baby! 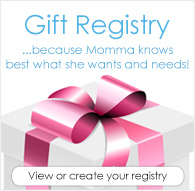 Best Bottoms have simplified cloth diapering while making one of the most economical systems. We only carry Best Bottom shells (covers) in snap closure. A lightweight wet bag, perfect for everyday use. Very absorbent, and super trim. Love the stay dry bamboo the most, but the microfiber are great too. Worked totally fine as a doubler. Took a bit to get the fit right, but it wasn't an issue. I ended up not needing them anyway! Heavy wetter, still holds up with a trim fit. These were the perfect solution! They add just enough absorbency without too much bulk. Good doubler, great for naps. I liked the doubler. My one-year-old started going down for longer naps, and we had to add a bit more absorbency. This seemed to do the trick. We didn't need the bulk of the overnight, so the trimness of this one was appreciated. We will be getting more.